Your house is being meticulously built by the manufacturer in a factory somewhere that’s hopefully not too far from your land… and you have little to no control over what’s happening there. It’s time to focus your energy on the land itself so you can prep the site for the delivery of your house. Clearly mark the boundaries of your land with flags or stakes. 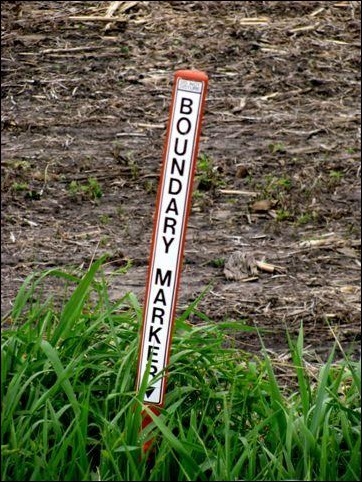 Have a surveyor clearly mark the boundaries of your land with flags to let your GC and his workers know where they can and cannot work, but also where they can and cannot set up their equipment. You will probably need portable toilets on your construction site and your neighbors won’t be too happy if they’re placed on their land. The flags will also bring up any boundary disputes you may have with your neighbors. If, for example, the town says that your piece of property ends at a certain point, but your neighbors think that they own a portion of the land you just bought, it’s better to clear up any disputes before you start building as they can take time and cause expensive delays. The first thing to do is to clear and level the land so that the foundation can be dug. Depending on your skill and the type of clearing that is being done, your GC may allow you to do some of this work to help offset some labor costs. Most of the work involved will need to be done by professionals however. Clearing the land includes cutting down trees, not only on the build site, but also removing any unhealthy or dead trees that are close enough to the house to do damage if they fall. Tree stumps and large rocks will need to be removed for the ground to be properly leveled. Once the foundation for the home is poured, there’s no turning back. 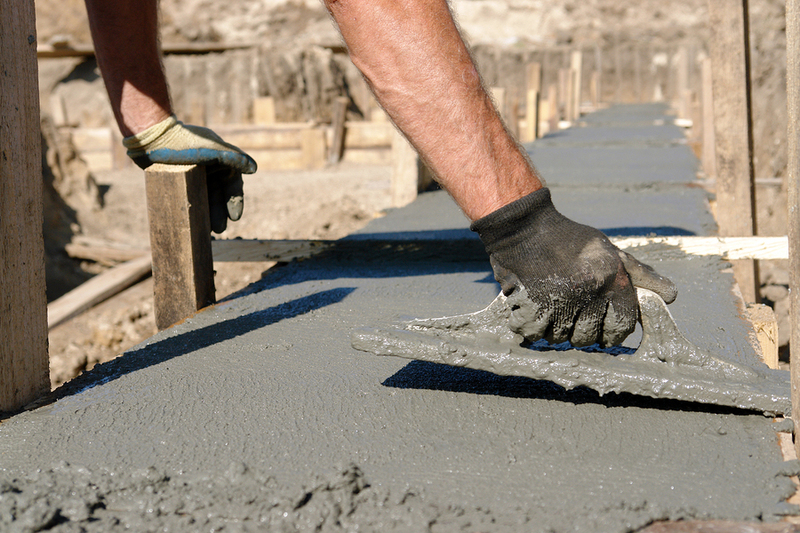 Many homeowners like to be there when the foundation is poured both to share in the excitement and to make sure everything goes smoothly. Once land has been cleared, your GC and his crew will dig a hole for the foundation and pour the concrete. This is known as the point of no return because after this point it becomes extremely expensive to make any changes. Many homeowners choose to be on site for this process since it is so important to make sure it is done right. Have your blueprints on hand so you can see exactly what the framework should look like before the concrete gets poured. In addition to the work that would be needed to prep the site for a site built home, you will also need to prepare the site for the delivery of your home. When your home is delivered, you need a place to unload and stage the modules before the crane lifts them in to place. Otherwise you’ll have to pay through the nose for the trucks to be on stand-by to deliver the modules as needed. To accommodate the staging area and delivery, you may have to clear and a level a larger area than just what would be needed for the house. For multi-story homes this is especially true because modules cannot be stacked on top of each other until they get set on the foundation. If you live in a densely populated area, always inform your neighbors when the delivery will be taking place and ask them not to park their cars on the street so that the trucks and crane have more space to maneuver. It is not unheard of for delivery trucks or cranes to do some damage to yours or your neighbor’s lawns if the driveway or street is not wide enough. This may be unavoidable, but always speak to the company in charge of delivery first if you suspect that there may be issues.